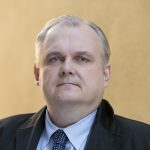 On Friday, February 9th, The International Centre for Defence and Security hosted a seminar and book launch for “Information Warfare” by Saara Jantunen, which was recently translated from original Finnish into Estonian. The Ambassador of Finland, H.E. Kirsti Narinen offered opening remarks followed by a discussion by the author of the book, Finnish scholar Saara Jantunen, and well-known media expert Raul Rebane. The discussion focused on the questions how to recognize the information warfare, effective counter-activities etc. The event was moderated by the Editor-in-Chief of Diplomaatia Erkki Bahovski. 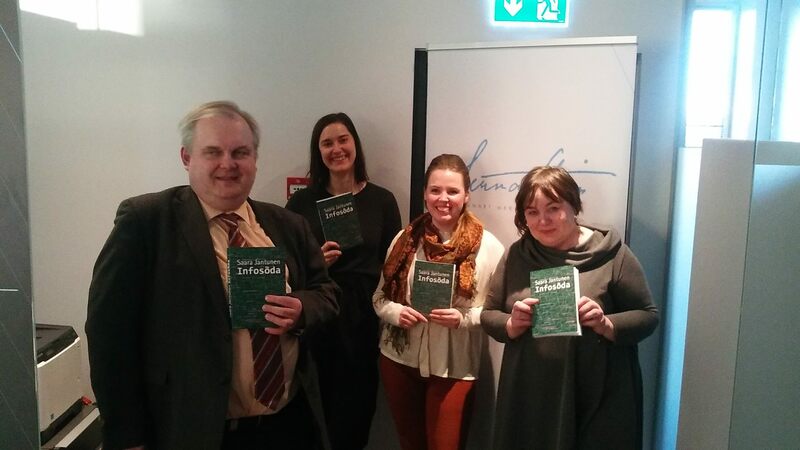 Picture: from the left: the editor of the Estonian version Erkki Bahovski, the translator Tuule Meri, the author Saara Jantunen and the author of the epilogue Imbi Paju in the ICDS premises.